Mouth guards; we provide professional assistance. 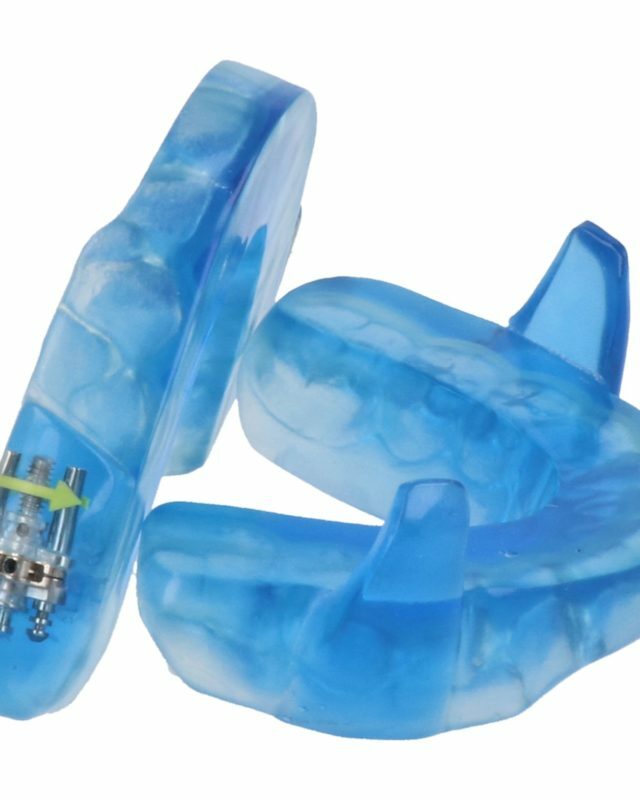 When playing risky sports such as contact and ﬁeld sports as well as in water polo, the wearing of a mouth guard is important to ensure maximum prevention of dental injuries and damage to the soft tissues of the mouth. A mouth guard must be as comfortable as possible. Custom-made mouth guards are regarded as being the best. 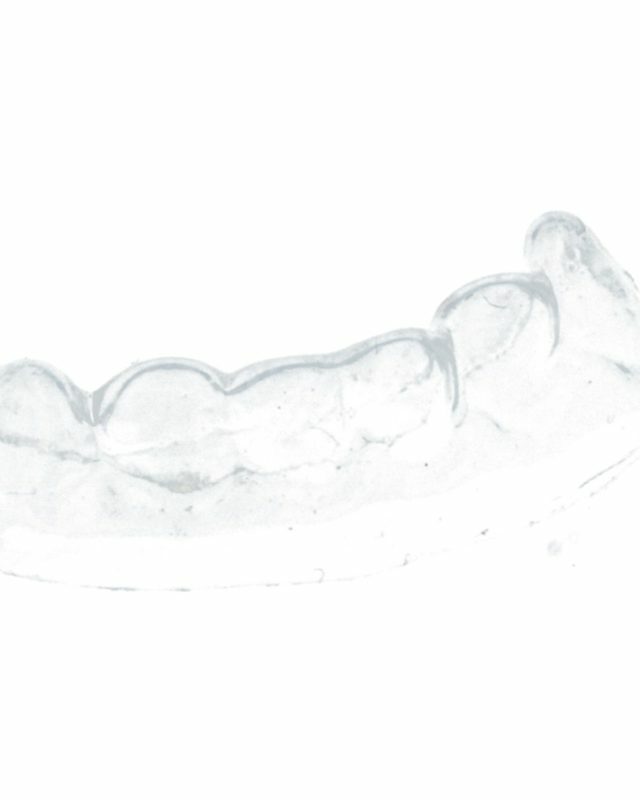 Many scientiﬁc studies have proven that Boil & Bite mouth guards provide bad protection and ultimately prove to be expensive. The playsafe mouth guards by Ortho Regulation are always created in multiple layers for optimum protection and comfort. 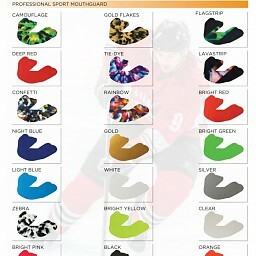 For full contact sports we always recommend 3 layer mouth guards; these are always available in beautiful colors. For full contact sports we always recommend 3 layer mouth guards; these are always available in beautiful colors.For young athletes we also have a professional solution and of course they are available in beautiful colors. You are welcome to visit us at our Ortho Regulation orthodontic laboratory to have your dental impression made. 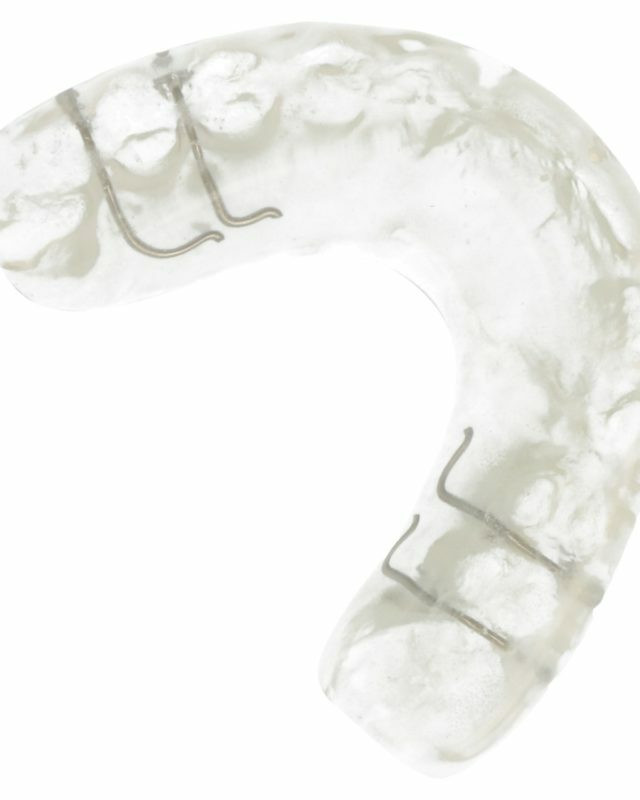 In our laboratory, the impression models of your teeth will be used to create individual playsafe mouth guards. Once your dental impressions are made, it will take about 5 days before you can collect your individually custom-made mouth guard. Teeth grinding, we provide professional help. Teeth grinding is the conscious or unconscious grinding of teeth so hard that it produces a grinding sound. Teeth grinding is often done unconsciously during sleep. Teeth grinding can damage your teeth. In more than half a million of Dutch people this is a problem. The teeth subjected to grinding can wear excessively. Teeth grinding is especially common in children. Fifteen percent are affected by this condition to a greater or lesser extent. In adults this is about ﬁve percent. Teeth grinding can have multiple consequences on more than just your teeth. Think of poor sleep, headaches, painful jaws and chewing/mastication muscles. Fatigue, and neck and shoulder complaints are also caused by teeth grinding. The cheapest solutions against teeth grinding that are for sale on the internet often cause worsening effects. These are soft materials that are used to counteract teeth grinding, but they stimulate it instead. 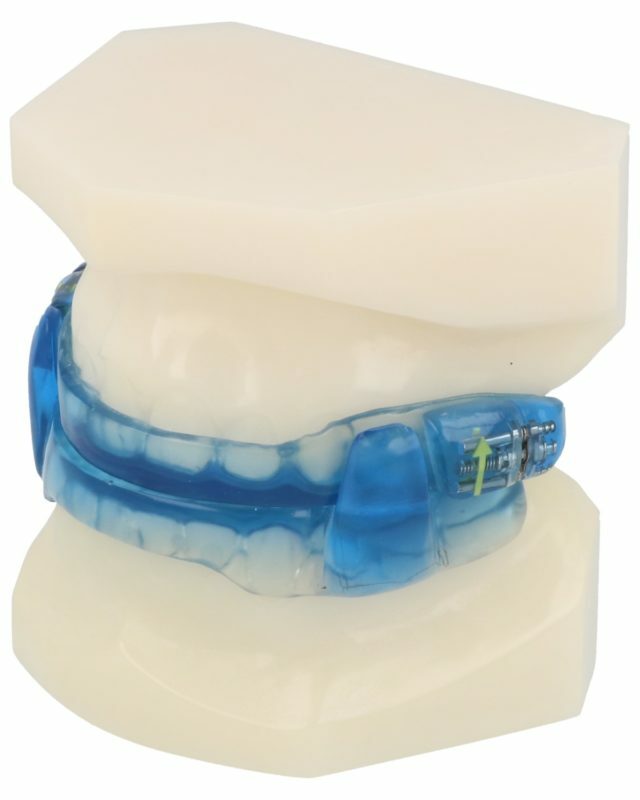 Ortho Regulation creates a splint from synthetic resin that ﬁts perfectly over the teeth and feels very comfortable. This splint can be worn at night but also during the day. This prevents further wear and also has a therapeutic effect. It sounds simple but learning to become more conscious about daily activities and learning to relax in good time are starting points for less teeth grinding problems. You are welcome to visit us at the Ortho Regulation orthodontic laboratory to have your dental impressions made. Your dental impressions will be used in the laboratory to create your customized hand crafted synthetic resin splint, grinding plate. Once your dental impressions are made, it will take about 5 days before you can collect your individually custom-made splint. You snore and you want to do something about it. Ortho Regulation provides a minimally invasive way of assisting you in getting a good night’s sleep. What in fact is snoring? When you sleep, all of your muscles relax, including the tongue (the tongue is a large muscle attached to the lower jaw). In some people this makes the tongue fall back into the pharynx and thus (partially) blocks the airways. Because the air is now moving through a narrowed air passage, the soft tissues of the throat will vibrate when you breathe in and out. This is what causes the typical ‘snoring’ sounds.More than half of Dutch people snore, and this can sometimes have a major impact on daily functioning; think of stress, fatigue, mental problems, bad moods, feeling down etc. An anti-snoring device – MRA – made by Ortho Regulation can stop snoring.This anti-snoring device is made of comfortable layers that are soft on the inside and hard on the outside.The anti-snoring device can be placed separately on the upper and lower teeth. The teeth must be in good condition in order to form a good basis for the device. This MRA is therefore not suitable for everyone. You must have your own healthy teeth and molars. If you wear dentures an MRA can also be manufactured for you these days, provided that the lower denture is attached to implants; for the upper prosthetic, this is not even a requirement. Would you like to ﬁnd out more about snoring or OSAS (obstructive sleep apnea syndrome)? There is a lot of information available about these topics on the internet. You are most welcome to visit us at our Ortho Regulation orthodontic laboratory to have dental impressions made.Your dental impressions/models will be used in the laboratory to hand craft your individual MRA/anti-snoring device. After making the dental impressions, it takes about 5 days until you can collect your individually crafted MRA, and to enjoy a healthy and proper night’s sleep. In the Netherlands, more than two million people bite their nails due to boredom, stress, anxiety or compulsion. This is related to many cosmetic and medical consequences. Not only will the nails suffer, but the teeth as well. Gum irritation, and sensitive teeth can be the result, but it can also lead to hand to mouth infections and vice versa. Although nail-biting appears to be a reasonably innocent activity, every time ﬁngers come in contact with the mouth, a transfer of more or less harmful substances occurs, including bacteria. This can cause nasty infections to arise, in both the nails and in the mouth. There are also less innocent forms of nail-biting. It is not rare for compulsive nail biting to lead to small wounds, bacterial infections. This may be a mild form of self-harm, self-mutilation, a medical condition that should be treated. In such types of nail-biting the teeth and jaw joints can also suffer damage from years of nail biting. 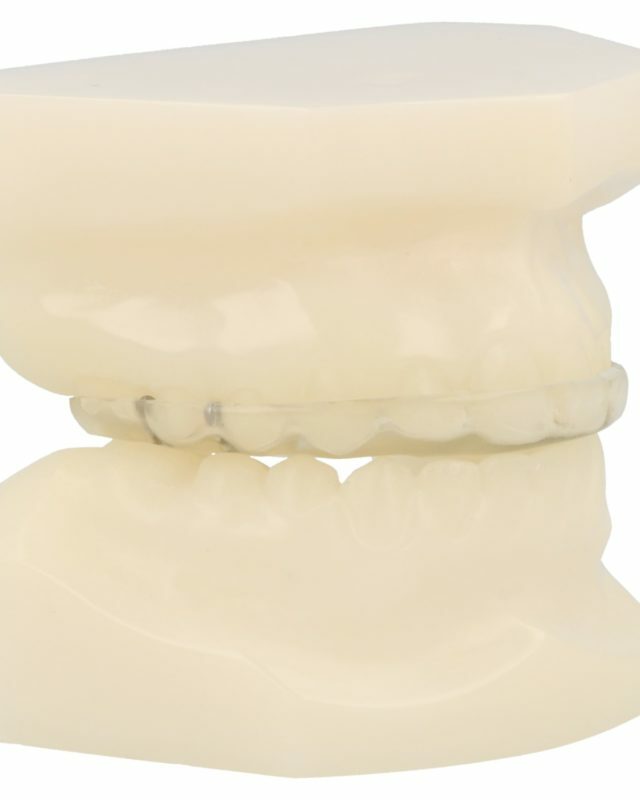 Ortho Regulation manufactures small caps for this that ﬁt perfectly and comfortably over the teeth and cannot be noticed when they are worn, because they are clear and colorless. This prevents nail destruction and tooth ache but long-term wearing also reduces compulsory nail biting. You are welcome to visit us at the Ortho Regulation orthodontic laboratory to have dental impressions made. Your dental impressions will be used in the laboratory to create individual nail protectors. Once your dental impressions are made, it will take about 5 days before you can collect your individually custom-made nail protectors. Lip protectors, we provide professional help. 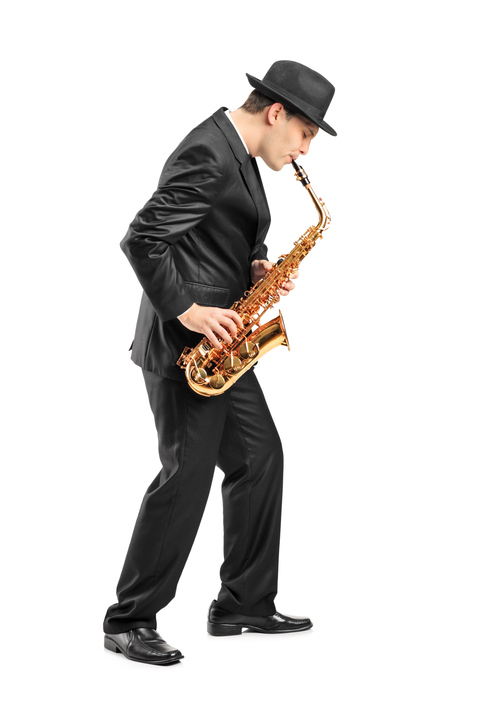 When playing a wind instrument such as, clarinet, saxophone or trumpet the use of a lip protector can make playing a wind instrument a little easier. 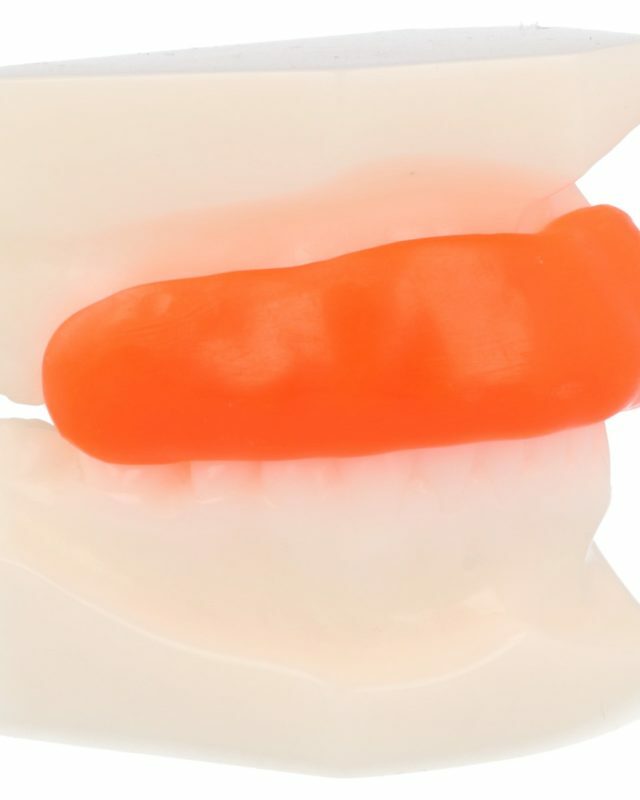 It is a small transparent device that ﬁts precisely over the lower teeth. It protects the lower lip while playing a wind instrument. This prevents damage to the inside of the lip after prolonged playing of the instrument. 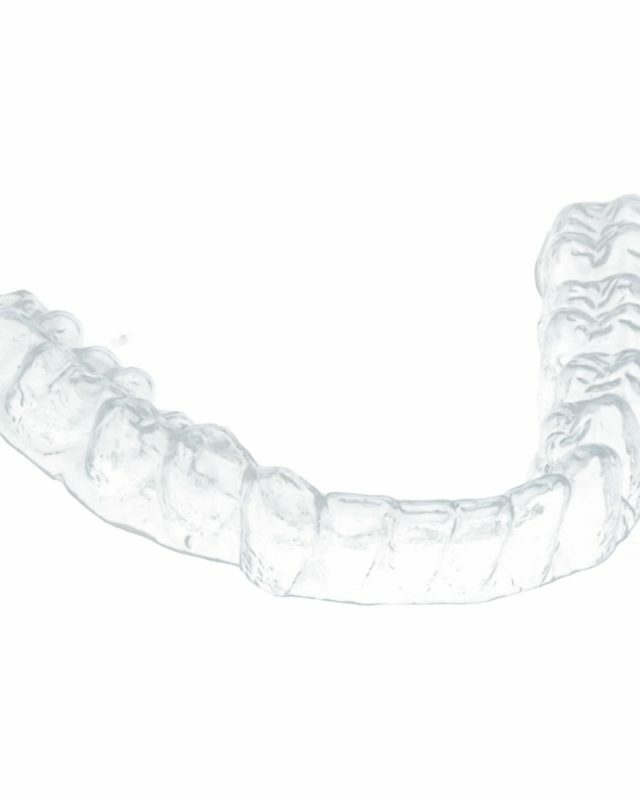 Ortho Regulation creates small caps that ﬁt perfectly over the teeth, feel quite comfortable to wear and do not show while being worn because they are clear and colorless. In our laboratory, the impression models of your teeth will be used to create individual lip protectors. Once your dental impressions are made, it will take about 5 days before you can collect your individually custom-made lip protectors.